One of the more special items we offer is metal barns; pictured above is a gorgeous red metal barn equipped for horses, a full-size horse trailer and barn loft for hay and plenty of storage. Metal barns are available in 12 gauge or 14 gauge steel framing with 29 gauge steel panels on the roof and sides. Where required, we provide engineered drawings with wind or snow load certifications. Steel structures for livestock are unique due to their design and their storage capacity. Barns have been used for decades as a favorite for housing and protecting animals and convenient storage and accessibility. Metal barns accommodate livestock and feed as well as hay and supplies for many types of animals like horses, cattle, goats, sheep, pigs or even llamas and ostriches. Ranchers and farmers like to use barns for the storage of trailers, tractors, trucks, mowers, tillers, even ATVs and recreational vehicles. Many people have found metal barns to be quite effective for use in the livestock industry or for multiple uses and have been satisfied with years of maintenance-free use from their barn. These structures are sometimes referred to as pole barns; a pole barn, lean-to or a loafing shed. For instance, horses can be kept separated individually or mares with foals in loafing shed type steel structures for livestock. 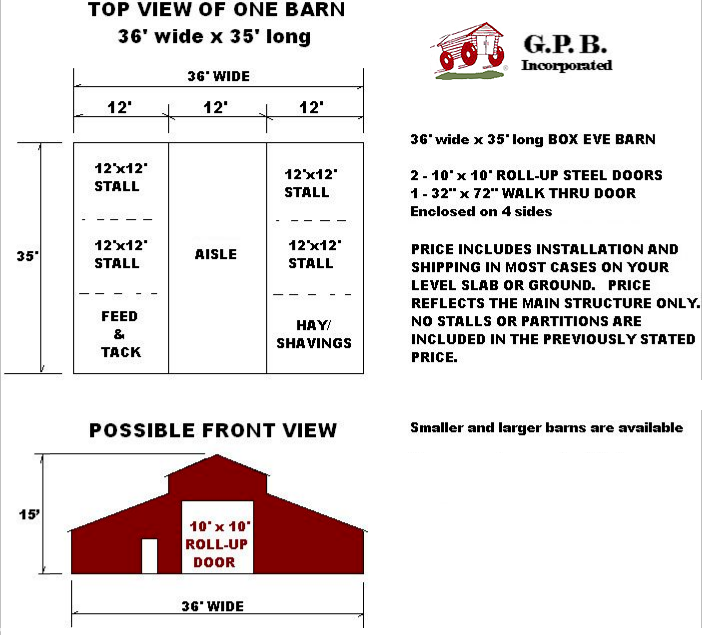 A pole barn is a simple structure that can be used part of the year, if animals are moved from one pasture to another or all year long, whatever suits your needs. A steel structure like this one may be used to house cattle in stalls or to safely hold cows for milking. The pole barn is a simple and cost-effective structure for the pasture to keep livestock out of the wind and rain and still keep some feed and storage for handy usage. Have questions? Need a price quote? Here you go. 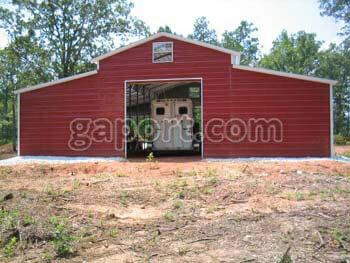 Here is the main metal barns and steel structures for livestock page.